In this part we have to validate our Odata service befor building the Front End application. For this i will use Advanced Rest Client ( chrome Extension ). 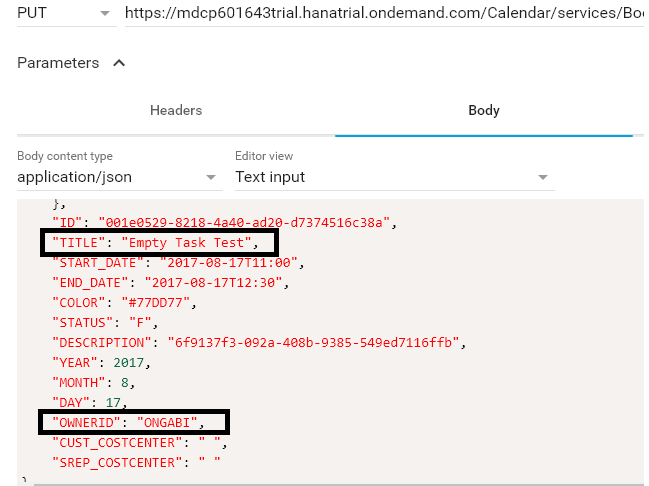 Create a new Request put the url to call Event Entity and added the “$top” parameter to the url to select just the first two events from the whole list. 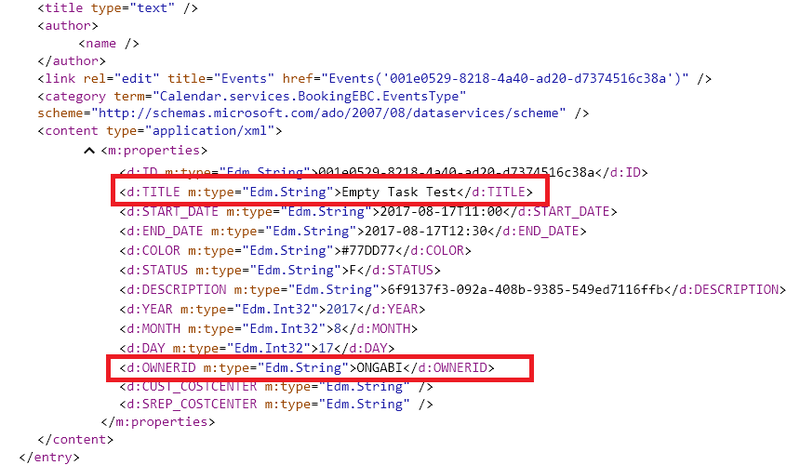 If the call is executed correctly we should see a result similar to my XML. Pick one ID to check the GetDetail_Entity method by changing the URL. Change the body by putting the same JSON result from the GET operation request and modify some value and Execute the request. The response should be like this. 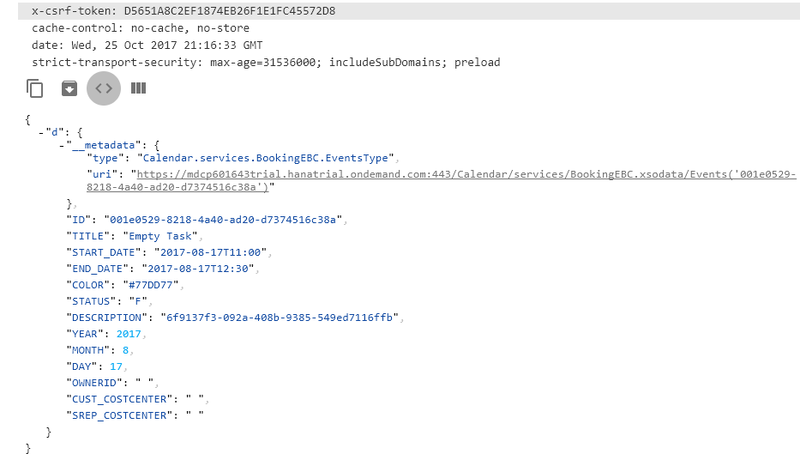 The Odata service is now ready and we can start the UI part in the next article.